Martin Freeman talks about Hobbit: The Desolation of Smaug. Plus the Box Office Top 10 and reviews including Fill The Void and The Christmas Candle. Martin Freeman talks to Simon about Hobbit: The Desolation of Smaug. Mark reviews the film along with Fill The Void and The Christmas Candle. Plus the Box Office Top 10 and the announcement of the shortlist for the Well Done U short film competition. Download the Kermode and Mayo podcast at bbc.co.uk/podcasts/5live. Text 85058 [charged at your standard rate]. Email: mayo@bbc.co.uk. 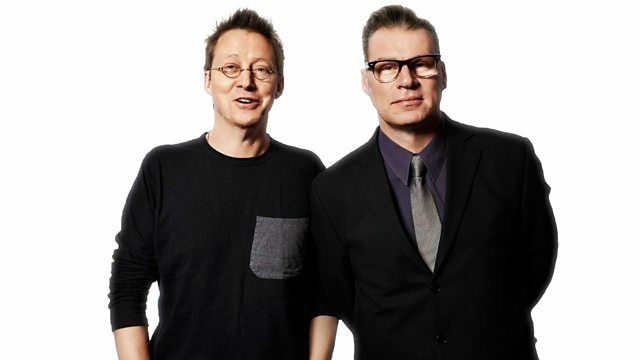 Twitter: @wittertainment. Well Done U launched in October, asking amateur filmmakers aged 16 and over to produce a two-minute, original, interesting and technically capable short film which in the opinion of the Kermode and Mayo production team would fit the British Board of Film Classification (BBFC) for a Universal or ‘U’ certificate. The winner will be announced on Kermode and Mayo's Film Review on Friday 20 December.